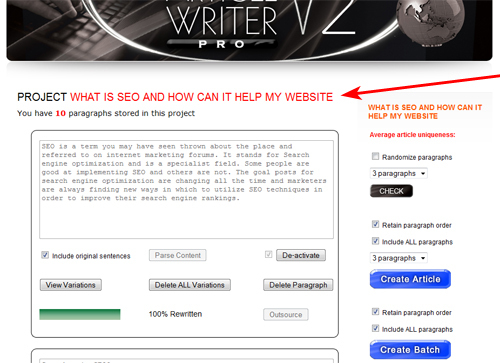 OK, today I want to share with you a technique that I used to get a brand new article ranked near the top of Ezinearticles for a single word, “SEO”. The end result… a PR3 article containing a PR3 dofollow backlink pointing to my site… with an increasing number of article views EACH day. I’m not going to go into the exact step by step process… but I am going to show the basic process to clearly illustrate what I have done, and what I used to do this. For those of you who ALREADY have my applications Easy Article Rewriter Pro and Article Writer Pro v2.0… then I urge you to repeat this process for yourself. It takes a little time but the results are good and solid! I opened up my Easy Article Rewriter Pro software and used my LSI Code technique to quickly build my LSI keyword library based around the singlular keyword ‘SEO’. I’m hoping to add an automated LSI library building feature into the next version so this step will literally be a case of typing in a keyword phrase and clicking a button. I then wrote an article themed on SEO using the software. I monitored my LSI library stats and article strength gauges as I typed. The keyword library also gives you some great ideas and sub topics to include within your article. A screen shot of this is shown below……. 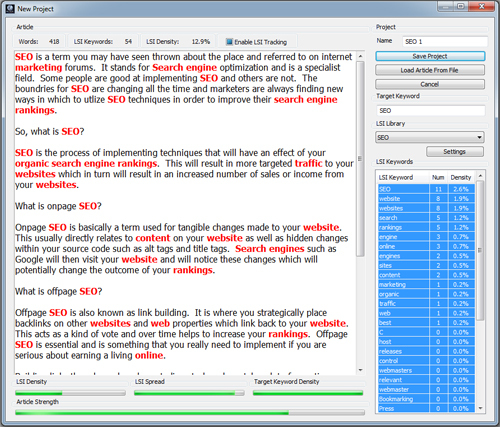 You can see the LSI keywords highlighted in RED and the article strength gauge at the bottom showing ‘mostly’ green. The more green.. the stronger the article. I then submitted that newly written article to Ezinearticles.com. I created a new project in Article Writer Pro v2.0. I pasted in the same article, parsed it into individual paragraphs by clicking the ‘Parse ALL’ button (I did NOT include the original sentences) and then activated all the paragrpahs by clicking on the ‘Activate ALL’ button. I then followed the guided rewriting process and added 3 new variations per sentence. After adding all my variations (Remember.. you can outsource this task! ), I then spun my title. I then created three resource boxes and added them to my Article Writer Pro v2.0 project. I added a link to my money site in ALL three boxes. Then ALSO added a link to my Ezinearticle in TWO of the resource boxes. I have included a linking diagram below showing you the linking structure that I wanted to achieve. This will result in backlinks to BOTH my Ezinearticle and my money site… BUT ultimately passing more weight to my money site. I then selected my category in Article Writer Pro v2.0 and clicked the ‘Distribute to Network’ button. 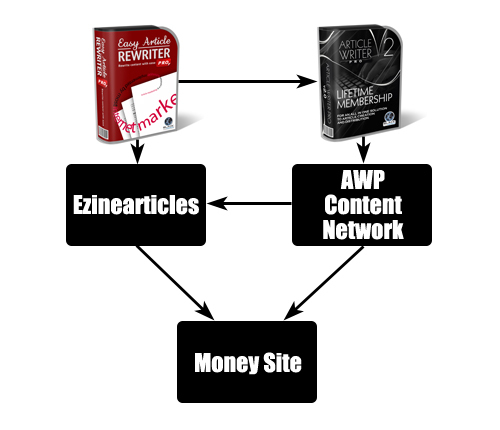 After that I let the system do it’s thing and drip feed articles throughout my content network… which resulted in backlinks pointing back to both my money site and my Ezinearticle. As you can see above, the network submission is only 3/4 of the way through the process of drip feeding the articles…. and the project was ONLY submitted on the 2nd November. As it stands today… my Ezinearticle is ranking in 2nd place in Google for the keyword “SEO” when searching ALL the indexed pages from Ezinearticles.com. This is out of 744,000 competing pages. The article was only submitted on 11th October 2011, published by Ezinearticles on 25th October and it already has a PR3 as shown below…. The page ranked in the No.1 spot is actually an article category! So.. being ranked No.2 is pretty neat. This will hopefully increase each day which could potentially bring in more traffic to my money site. If you already have membership to Article Writer Pro v2.0 with a subscription to my content network and also a copy of my LSI writing software, Easy Article Rewriter Pro then you can follow these same steps and apply this technique for your OWN websites. If not, then you may decide you want to test this out for yourself to see what you can achieve by buying these products. I offer a FULL 14 day money back guarantee… so if you aren’t happy with your purchases you can get all your money back. All I ask is that you USE these tools and follow through with your plan. The world really is your oyster! P.s. – As always… feel free to leave a comment. Curious to know how you knew the toolbar was going to update, as pagerank doesnt update just cause you got some links, it only updates a couple times a year or sometimes only once. I didn’t know. I just checked and saw that it was a PR3. Hi Chris, no the last update was v1.05. However, I’m hoping to release a new update soon that will include a few extra tweaks and features. More news on this shortly. That is a brilliant technique, I shall have a go at that. I am not clear on the dripfeed method, I don’t see how you do that. Once you complete your project.. you can simply select a category and click a button to submit your project to the network. The system will do the rest for you. Hi Andy. I’ve been trying to get a hold of your order department for some time. My Easy Article Rewriter Pro software will not allow me to re-install on my upgraded computer. How can I get that sorted out? I’ve got hundreds of articles in the list that I cannot access now that my computer has been upgraded. Andy, your software AWP is hands down the smartest original content creation software on the market. It took some getting used to due to working with content spinners that promise original content in a few clicks. They don’t not even close. I submit AWP articles to Ezine Articles without any dup content issues. I use versions of them for building Hub and Squidoo pages, blog post and even forum and blog comments. Adding an LSI library building feature into the next version would be great! Thanks for a great product. Hey, thanks for the nice comments. Any chance I can use this as a testimonial? Yes, it is a manual tool, but you can still leverage it so that you get 1,000% out of what you put into it.. if not more. It’s just a case of spending a bit of time setting the project up… but I guess ALL businesses require you to do a bit of work don’t they… or at least outsource it. 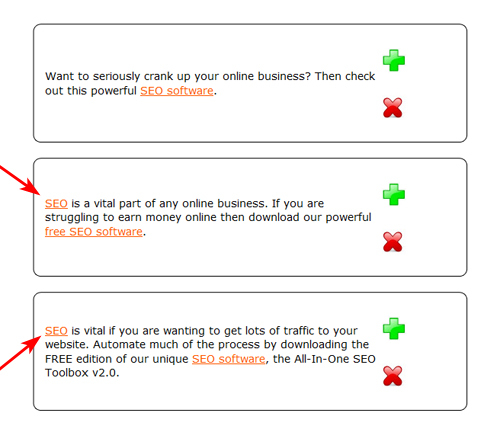 Clear and informative post, just what I need to help me start with my internet business. I was going to purchase AWP but am now unsure, should I start with AWP or EAW ? As a relative newbie to article writing would I benifit from having both programmes and if so do you do a package deal ? I have been following your posts for the last month or so and am very impressed by the helpfull tips & information that you provide. Thanks for the help Andy. Nice…very nice! I checked for myself and wow, it really is a PR3! When I’m done with my current project I’m working, I’m going to try this out. I’ve looked at Article Writer Pro in the past but never pulled the trigger to buy it. I think I will now. 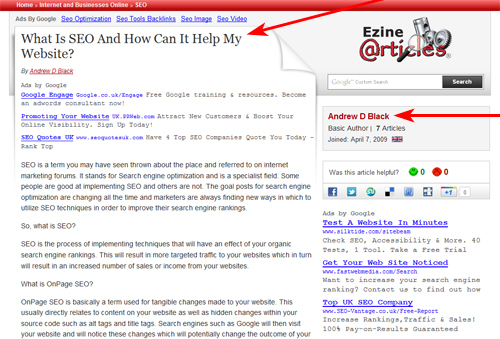 Andy, I already have a few articles in Ezine-aticles I wrote for one of my websites, can I use them in the system? Yes, you can. Just add them to AWP and add your variations. If you submit the project to the network you can either point the links in your resource box to your Ezinearticle URLs.. your money site… or both. Mix it up a little bit. 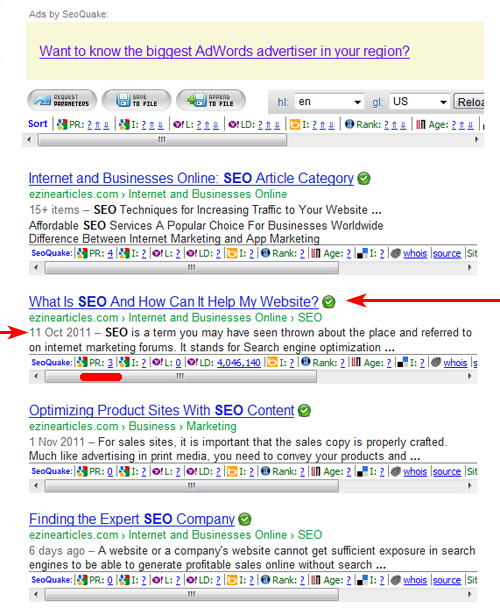 I´ve just checked you article now (http://ezinearticles.com/?What-Is-SEO-And-How-Can-It-Help-My-Website?&id=6618326) and it´s PR0. What happened? I know… It has also disappeared from the rankings… although it is still in Googles index. I clear sign that the ‘weighting’ has been adjusted. For now anyway… unless it does come back. I’ve investigated a little and it does appear that people have jumped onto the article and spun the crap out of it as there are dozens of recent ‘spun’ versions of the article in Google… obviously linking to other sites. This shouldn’t really impact my article though although I have found that over saturated articles… weaken the averall strength.. that’s why I don’t like to publish ‘too’ many versions of ‘one’ particular article. The problem I have found when running a case study and sending the link out to ‘thosuands’ of people… is that sometimes the page I’m promoting either get’s picked up, identified, abused or ‘reported’ (maybe)which results in it being dropped. I don’t know how, or why something ‘minor and insignificant’ like this would do… but to me this is the case as other pages / sites I promote do not get penalized… hence why that is my private work… and URLs etc that I choose not to share to a fairly wide audience. The same happened with my EAR Pro experiments. The ones I made public disappeared. The point of my story… shout out to the world from the roof tops.. and be prepared to get slapped. Just to follow up from my last reply….. There are some ‘spun’ versions of my ‘original’ article (not from my network) that were picked up and cached on 25th October. That is the same day that my article got published on Ezinearticles… but wasn’t cached until shortly after that date. So what I’m gathering here is that people are using a ‘bot’ to scrape the most recent articles from Ezinearticles (and maybe other sites) and automatically adding them (maybe after a spin) to their own blogs. A plugin?! 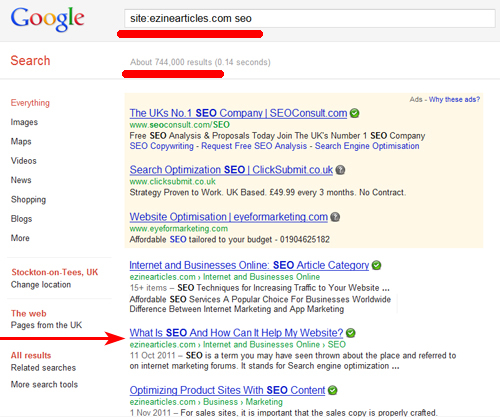 I find with my blog that ALL of my posts get indexed in Google almost immediately. If a blog gets the article indexed before Ezinearticles does (it is possible)… then this will weaken the strength of the original article in Ezinearticles. So there is a possiblitiy that this is the case and that it has taken a while for Google to adjust things… taking credit away from my article. Not good though. @Andy, In regards to your comment where you say all of your blog posts get indexed in Google almost immediately, then perhaps it’s a good idea to publish the article in your blog first, before submitting to EZA. That it will be indexed first, and you will beat any other scraper…er…I mean blogger who decides to publish the article on their blog. Do you think that is a good idea? Yes, that is one option. I’m looking to include two methods either in a free report or video where you can follow this concept for either a third party site such as Ezinearticles.. or your own blog. Members could then create a unique article using AWP and publish it on their blog. 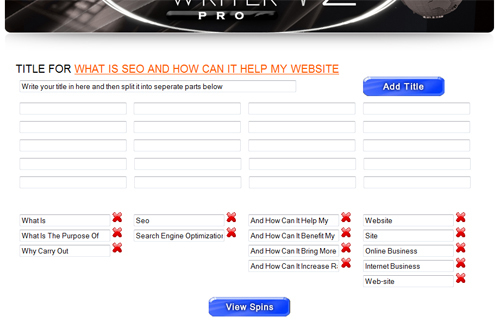 Then use the network and create multiple versions on other sites that ALL point back to the blog post. Then rinse and repeat. If you do this say 10 times you will have a blog that has a number of backlinks not only to the root domain, but also to ALL blog posts.